I think this ranks as "the most interesting read of the 2015 book club". Of course, there is still time left in this year and a lot more books but given the response (and opinions) that I've seen so far, this read is generating some discussion. That certainly makes things fun and interesting! Shonya from Learning How Much I Don't Know chose this book for us and she is now here with her concluding remarks. If you have thoughts to share on this title, please leave a link to your blog post and/or simply leave a comment below. A.W. 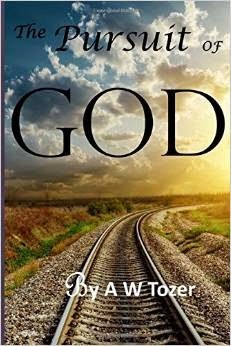 Tozer wrote The Pursuit of God in one night while riding a Pullman train on his way from Chicago to speak in Texas. He sequestered himself in his roomette, refused all food but some toast and tea, and "wrote all night long, this thing coming as fast to his heart as he could write, and when they pulled into the station, about 7:30 the next morning, at McAllen, Texas, that book was finished and all he had in front of him was just the Bible. . .Beginning with publication in 1948 and continuing for well over a half century, this book has inspired and encouraged pastors and missionaries, as well as a wide range of devout men and women with hearts after God" (A Passion for God , Dorsett, 120). In the introduction Dr. Samuel M. Zwemer, an author, evangelist, and leader in the Reformed Church of America, describes the book as "theology not of the head but of the heart" (7). Zwemer also described the book as "a masterly study of the inner life by a heart thirsting after God, eager to grasp at least the outskirts of His ways, the abyss of His love for sinners, and the height of His unapproachable majesty" (6). Biographer Lyle Dorsett described The Pursuit of God as "one of the most striking manifestations of the truth that if a man will concern himself with the depth of his ministry, the Holy Spirit will take care of the breadth" (121) which certainly seems true as I consider the wide-spread, interdenominational, and enduring fame this admittedly deep book has achieved. I have heard many references to The Pursuit of God , have always wanted to read it, and can now finally say I have read it. That may be about all I can claim, however, as I'm not sure I can speak intelligently about it after only one reading. I didn't enjoy the book as much as I had hoped to. I found it difficult to read as I wasn't always sure what point he was trying to make. After plowing through several pages, I would finally think "Oh! That's where he was going", which was frustrating. As a busy homeschooling mom with a baby (read: sleep-deprived! ), however, I'm willing to concede that might have been my problem and not his. I find it an interesting parallel that I actually enjoyed Dorsett's biography of Tozer more than I enjoyed Tozer's writings. Just as Tozer himself longed to more fully know God the more he read God's Word, so I also found myself more curious about Tozer as I read his writing. There were many very good lessons in his writing, of course, but I'll try to limit myself to highlighting only three of them. One of my favorites was his assertion that individual personal growth toward Christ is more unifying than people purposing to compromise for the sake of unity. "Has it ever occurred to you that one hundred pianos all tuned to the same fork are automatically tuned to each other? They are of one accord by being tuned, not to each other, but to another standard to which each one must individually bow. So one hundred worshippers met together, each one looking away to Christ, are in heart nearer to each other than they could possibly be were they to become 'unity' conscious and turn their eyes away from God to strive for closer fellowship. Social religion is perfected when private religion is purified. The body becomes stronger as its members become healthier. The whole Church of God gains when the members that compose it begin to seek a better and a higher life" (53). I also really appreciated his chapter about meekness leading to rest based on Matthew 11:28-29. Coming to Jesus, giving Him our burdens of pride, pretense, and artificiality, frees us from worrying about ourselves all the time--what people think of us and where we stand in relation to others. "Jesus calls us to His rest, and meekness is His method. The meek man cares not at all who is greater than he, for he has long ago decided that the esteem of the world is not worth the effort. . .he has stopped being fooled about himself. He has accepted God's estimate of his own life" (61). "Apart from sin we have nothing of which to be ashamed. Only an evil desire to shine makes us want to appear other than we are. . .The rest he offers is the rest of meekness, the blessed relief which comes when we accept ourselves for what we are and cease to pretend" (63). That is profound insight, in my opinion, and a different application from those verses than I've ever heard or considered before. Finally, I found this the scariest passage in his book: "Current evangelicalism has laid the altar and divided the sacrifice into parts, but now seems satisfied to count the stones and rearrange the pieces with never a care that THERE IS NOT A SIGN OF FIRE upon the top of lofty Carmel. But God be thanked that there are a few who care. They are those who, while they love the altar and delight in the sacrifice, are yet unable to reconcile themselves to the continued absense of fire. They desire God above all" (8). (emphasis mine). While I understand the concerns some have expressed about how we shouldn't "attack" the church, I also remember God sending prophets of old to His people with stern warnings (far more scathing than Tozer's) in order to bring them back to Him. I never got the impression that Tozer feared the church would fizzle out or become unusable, but rather that he was calling us to a higher level, to desiring God above all else and not contenting ourselves with the prescribed procedures of church services. While not all congregations of the Lord's people have this challenge, I have seen some for whom I would share Tozer's concern that they might be religiously "straining at gnats" with "never a care that there is not a sign of fire". Unfortunately, we humans are quick to become complacent or to substitute rules for God's presence, and thankfully God equips people, through His Word and Spirit, to bring us back to Him. I'm out of space (and likely your indulgence!) to linger in his chapter about the "blessed poor no longer being slaves to the tyranny of things" as they have "rooted from their hearts all sense of possessing" (17), although I would love to discuss it more. So I will end with the hope Tozer also expressed, that we each will "get still to wait on God. . .alone, preferably with our Bible outspread before us" (45). I would also invite you to read the biography Dorsett wrote about Tozer. I thoroughly enjoyed it. He had the respect and admiration of the leaders of his day, particularly in the Christian and Missionary Alliance denomination of which he was a part. They identified him as a transparent and meek man who "loved the Bible and unflinchingly preached what he believed people needed to hear, regardless of what they wanted" (Dorsett, 17), and a man who "truly knew Jesus Christ rather than just knew what the Bible recorded about Him" (103). While some might criticize him for being self-educated, I personally am an admirer of lifelong learners and believe that seminary is far from necessary for one to adequately share God's Word which is all we need to learn "all things that pertain to life and godliness" (2 Peter 1:3). Like John Wesley, he was a "man of One Book, but the student of many", and his biography details many books he read. He was an imperfect instrument, of course, and I found it very sad to read of his wife's and children's hurts as they were pushed to the background in his quest for deeper intimacy with God yet "he had no inkling that his zeal for God's house was undermining his own" (109). I think this is yet another lesson we can learn from his life, in addition to the lessons he voiced. While I didn't agree with every word in this book, I would like to read it again for I think it's a book to be carefully mined and not casually read. This is the first book I have read by Tozer, and I hope to someday read another. What would you recommend? So what did you think of this read? 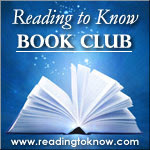 Did you read along with us this month? Please share links to blog posts and/or just simply share your thoughts in the comment section below. For those curious, Shonya posted her review of A Passion for God: The Spiritual Journey of A.W. Tozer, by Lyle W. Dorsett over at Learning How Much I Don't Know. Hop over and read more about this man and this read! To answer Shonya's last question, the only other book of Tozer's I can recall reading is Knowledge of the Holy, a study of the attributes of God, and I enjoyed it very much. As I've mentioned before I think my review was perhaps a little more critical than I should have been. That being said, I reread the "hundred pianos" quote and this time I was like, "Wow that is good." Which sort of proves what I'd already been thinking, that I maybe could have interacted with the book if it hadn't been for his sprinkling every point with how misguided the entire church was. I have no problem with people criticizing/correcting/giving warning about something about the church in their day. It is just that it was so unspecific in this book. He never told us what was exactly the problem. It just sounded like the whole church couldn't get anything right ever. I did like that biographical note about how the book was written. I sometimes struggled through this book and it's writing style. I guess my big takeaways from it were along the lines of the quote Shonya mentioned. You can tell without a doubt that Tozer loved the church and deeply desired for the church to come together and passionately pursue Christ. Whether he expressed himself as clearly as he could here might be up for debate, but you can hear the cry of his heart in this message. I also took away that less focus on self is never a bad thing. It seems like the handful of quotes that I wrote down (before abandoning notetaking for the sheer feat of getting through the book). As the piano tuning quote mentions - focus on the standard to which you are being tuned to and not those around you that you are playing along side of. I think of an orchestra with all eyes on the conductor. If one instrumentalist begins to take his cue from another player that is lagging behind it can set a whole piece of music off course. A needed reminder to focus on the SAVIOR and my personal walk with him and not those around me and live in comparison (which is never profitable). And well said. Yup, it IS very easy to hear his passion and heart for people to have a deep relationship with God. That's commendable. I'm also sort of glad (relieved?) to know that people found his style of writing somewhat confusing at times. I got a lot out of this one. Thank you, Shonya and Carrie, for the push to read it!